You don’t need to drive hours on I-75 to enjoy the serenity of a lake. 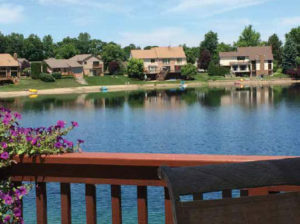 Living on the water in Macomb County is like having paradise in your own backyard. That sentiment is echoed by the more than 7,000 families living alongside Lake St. Clair, the Clinton and Salt rivers and countless inland lakes in Macomb County. Macomb Now Magazine found three families living in three different waterside areas in Macomb County. 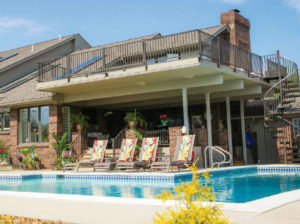 These families are able to come home from work and enjoy a stunning view, like this first lakefront home on Anchor Bay. Families living on Lake St. Clair or the Clinton and Salt rivers or the many canals throughout Chesterfield, New Baltimore, Harrison Township, Mount Clemens and St. Clair Shores can easily take a boat ride south to Cedar Point and north to the North Channel via Lake St. Clair. “These families have access to almost anywhere in the world, on a daily basis. “You can travel as far as Cuba if you really wanted to, right from your own backyard.” said Carol Paton, real estate broker for this home and many others on Lake St. Clair. The family in this Chesterfield lakefront home is hoping to downsize to another lake home and currently has this home for sale. 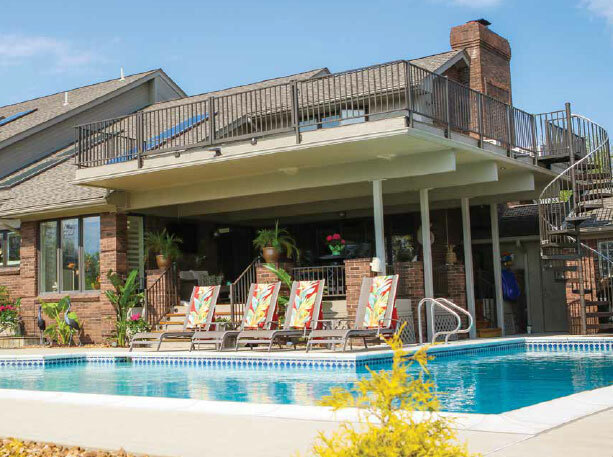 “We call our house ‘Rheeder’s Resort.’ We have an in-ground pool in the backyard and a beach for the grandkids. We do a lot of entertaining because we have an entertaining home,” LuAnn Rheeder explained. “We sold the cottage because we’re on the water here and it wasn’t worth the drive. We can go to a lot of places by boat,” Rick Rheeder added. They’ve been in their home on the Clinton River in Harrison Township since 2010. In addition to million-dollar views, living on the water also means enjoying a variety of wildlife. For example, the Rheeder family enjoys seeing ducks, swans, egrets, cranes, deer and coyotes on or near their property on the Clinton River. “There are no challenges to living on the water. Every day is a good day. When you wake up every morning and see the water, it does something for you,” Rick said. For the past 13 years, Annie and Steve have found a personal oasis on one of the many spring-fed lakes in Shelby Township. “You’re in your own little world out here. You can fish, swim, even ice skate,” Steve said. “This is where my grandkids have learned to fish and have learned respect for the water,” Annie explained. Considering the great settings, it’s no surprise that all three homes are gathering places for friends and family. “Our home has been the gathering place for many holidays and graduations, especially the Fourth of July, which has a fireworks display,” Annie added. Waterfront living can also have its own challenges, including additional maintenance and insurance. “You really have to like living on the water. It can be a lot of work, but also a lot of fun,” Steve said.